Are you in a hunt for a high-cut shoe that would give you super comfort while not sacrificing quality and appearance? 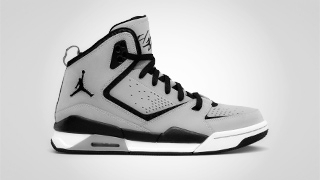 If you are, then this new edition of the Jordan SC-2 is absolutely for you. The Medium Grey/Black – White colourway of the Jordan SC-2, which offers a combination of full-grain leathers and synthetics for great comfort, will be hitting the market anytime this month. Also featuring great cushioning, this new colourway of the Jordan SC-2 will surely be a hit so you need to watch out for it!